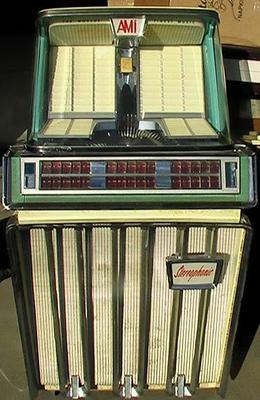 3/12/2015 Spokane, Washington - 1959 AMI Jukebox in good working condition. 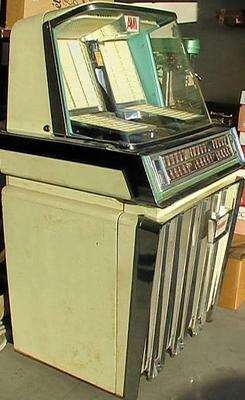 Multi-horn stereo sound system with horizontal play to gently preserve the record grooves. Plays 200 selections from both sides of 100 45RPM records. Solid cabinet with pristine dome glass. $1,900.00 OBO. Contact Ron at (509) 473-9557.